So, the CIFF this year was a super duper hit. Why? How? Cos i managed to attend, and not just attend a few, but saw 14 movies. Yes, you read it right. I had made up my mind to not only register, but to make it a point to attend as many as possible this year since last year was a bit of a wash out. There are many of who enjoy shopping, spending hours in the stores or in the mall exploring all the shelves and products before they decide. But over the last few years, we have seen a changing trend. No, people havent stopped shopping, just where they shop has changed. Am not talking about change in brand loyalties or looking at different stores. Am talking about the new trend of online shopping. There are so many websites, infact some might be cropping up as I type this. In this too there are different category of shoppers. The kind who go to a store, check out the product, do their research and then go buy the product online, and then there are those who scrounge the various websites and pick from the ones that offer the best deals and prices. About a month or so ago is when I 1st heard about Cashkaro.com. And then, after a flurry of messages and mails, I was checking the site out, simply out of curiousity. 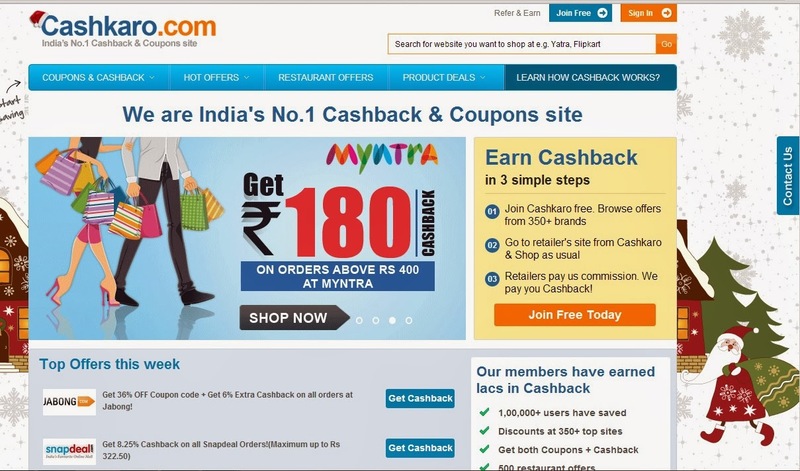 It is a site that has partnered with several ecommerce sites and offers cash back to the clients. 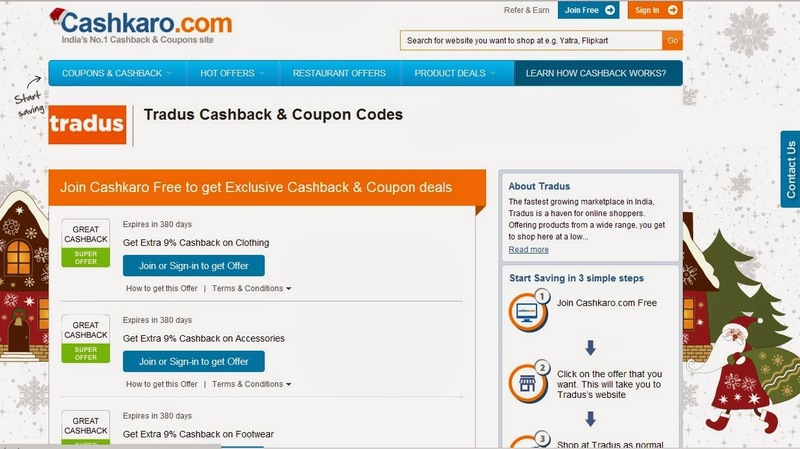 All you do is create an account with Cashkaro.com or take the easy way out, connecting via your Facebook account and off you go shopping away. Initially, I wasnt very aware of the offers and went ahead to make a purchase on Flipkart, only to later realise there was no cash back. But then heck, buying a book is something I enjoy and would never regret. Some time passed by, and the GOSF was happening. 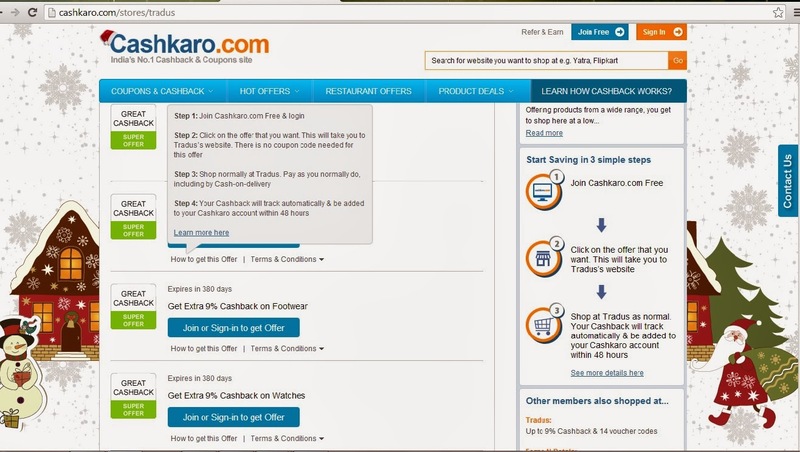 This is when I was back on Cashkaro.com, except this time I spent nearly an hour reading through their policies, how it worked, what it was all about and then went ahead did a purchase on Tradus. I ordered for footwear. 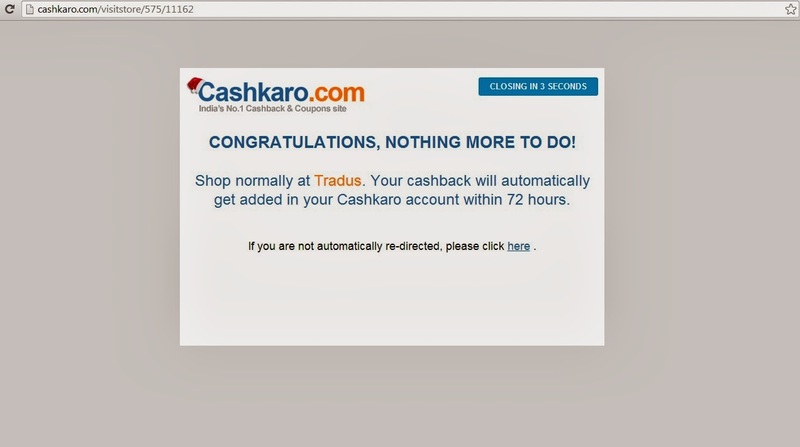 I spotted the details of cashback offer under Tradus, and then had to click on the link there which told me the cashback would happen within 72hours, straight into my account. What is cool is that all the cashbacks we receive can then be transferred to our bank account as well.. as CASH. How cool is that? Alright, enough chatting, am off to check out some of the other deals they have!! And what are you staring at, go check out the coupons and deals already! !